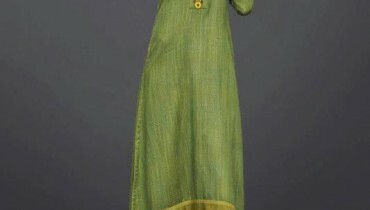 Many textile companies have launched their second lawn collections 2012 just recently. Sitara Sapna lawn 2012 2nd edition has also just been launched. The collection consists of lawn prints with cool colors and designs. 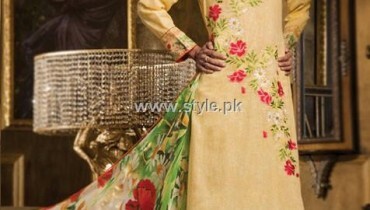 Various color options are available for all prints of Sitara Sapna lawn 2012 2nd edition. 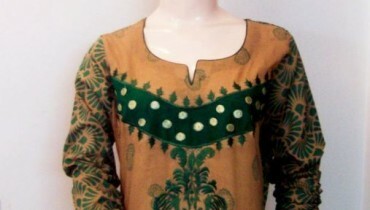 The stitching designs in the photos of the collection are quite trendy. The pictures feature nicely stitched shirts with trousers and churidaar pajamas. The prices of Sitara lawn collection are usually quite affordable. Moreover, the fabric quality is excellent. Thus, they fabric is appropriate for wearing in this hot weather. Sitara Textile Industries Ltd is a well known textile mill located in Faislabad, Pakistan. It belongs to Sitara group of companies and was established in 1959. With humble beginnings, it is now one of the most well-recognized textile companies. It has various lawn brands under its name. Apart from its famous Sitara Sapna Lawn, the mill also produces Sitara Supreme lawn, Sitara Mughal-E-Azam, etc. It also offers other fabrics besides lawn as well. In addition to this, it produces fabric for men as well. Every year it launches lots of fabric collections to satisfy all the clothing needs of its clients. You can find the summer lawn prints of Sitara Textile Ltd at various leading fabric stores all over Pakistan. So, if you are shopping for lawn prints and are looking for something affordable, check out Sitara Textile Ltd. Lawn collection. For now, let’s have a look at the Sitara Sapna Lawn 2012 2nd Edition.